Most Boston commercial office space leases include both usable and rentable square feet. Understanding how these differ and how they should be positioned is essential to compete with other properties and lease a space for maximum value. 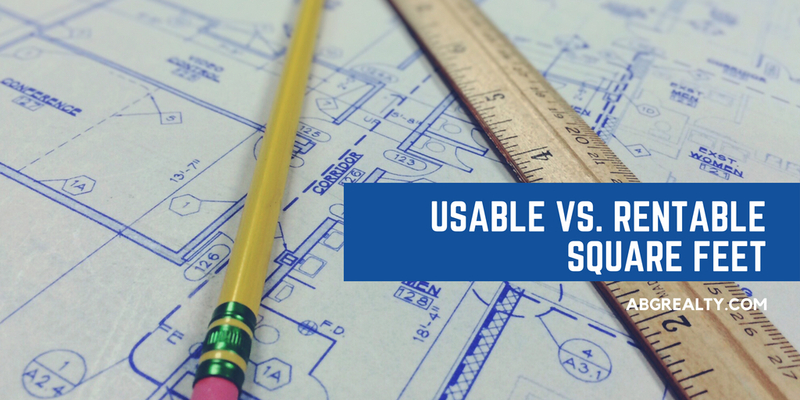 Here’s a closer look at usable versus rentable square feet. Usable office space includes square footage exclusive to one tenant. If an entire floor is rented, the space would be calculated from wall-to-wall but exclude structural elements such as stairways and elevators. For partial-floor leases, it would be measured by the perimeter of the leased area. In both cases, seemingly common spaces such as hallways and utility closets may be included in the measurements, depending on the specific floor’s layout. Rentable office space includes much more than the space dedicated to just one office tenant. Imagine you are entering a large office building. You would probably enter a main lobby and make your way up to the appropriate floor using hallways, elevators, and/or stairs. Although those spaces are not exclusive to one particular tenant, they are still necessary to access that tenant’s space. Thus, office tenants are responsible for a portion of the cost to provide and maintain those common areas. Rentable office space includes both usable square footage and a portion of the common space. Commercial office space landlords must determine how much common area square footage should be attributed to any one tenant using what’s called a “load factor.” Basically, how much “load” (or usage) is attributable to each tenant. Tenants that occupy more usable office space will likely have more staff. Thus, it makes that they should cover a higher percentage of common area square footage cost. So, usable versus rentable square feet is the difference between dedicated office space and the added proportion of shared space. This is important to know since two potential office space leases may include the same amount of usable square footage but much different rentable square footage. Landlords will want to properly position the benefits of that added square footage in order to compete with buildings that may offer less costly load factor calculations to tenants. In fact, leverage building amenities and benefits are critical to any commercial real estate marketing campaign. Contact ABG Realty for assistance with your next office space lease!